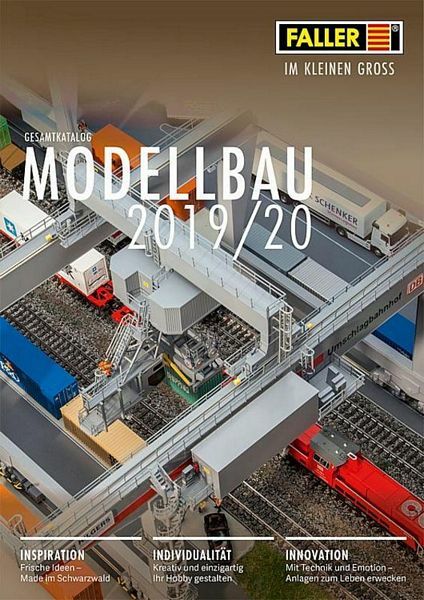 Faller general catalog Scale Modelling 2019/20 with its 544 pages is still more voluminous than the previous editions. This catalogue contains all products available for track gauges H0, N and Z, for Car System and Car System Digital, for the funfair, and for model layout construction. Fans may look forward to a great number of inspiring ideas Made in Black Forest, to a series of personalized products with which you will be able to give your hobby an unparalleled character, and to numerous technical innovations allowing to create model installations full of live. It also presents the most fabulous miniature world museums of the planet.